The secret nighttime world they inhabit becomes brilliant and bold in the light of day, adding color to blighted brick and steel. Thirty years ago Jane Golden, founder of the City of Philadelphia MuralArts program saw this graffiti for what it is: Fearless, desperate, creative, artistic, and proud. She decided to help the taggers and their neighbors reclaim communities decimated by job and population loss. Her collaborative work led to paying graffiti writers to create murals in distressed communities. 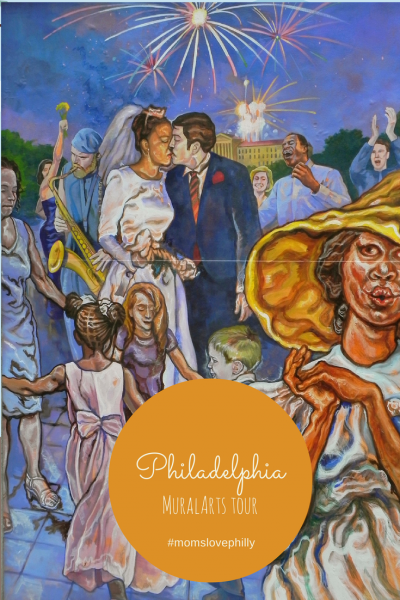 Along the way MuralArts has grown in many directions, all of them rooted in the neighborhoods and communities of Philadelphia. Among its myriad programs, it offers art instruction to everyone from prisoners and children to famous muralists, who come to the city to learn new techniques. It works with social service agencies to complete murals that deal with the themes of social justice, mental health, and disability. And it works to maintain and restore murals through paid apprenticeships while still adding new ones. Nearly 3000 murals have been painted over the years; about 2000 of them are still extant all around the city. Advances in conservation and improvements in paint mean that murals are now more brilliant and fade resistant than when the program started in the mid 1980s. Sherwin Williams has developed a restorative varnish that can be used on fading murals and eliminates the need to repaint them. Murals are now often painted on a special type of cloth that shows the texture of the wall beneath it. This means that they can be worked on year round, in smaller pieces, and in alternate locations. 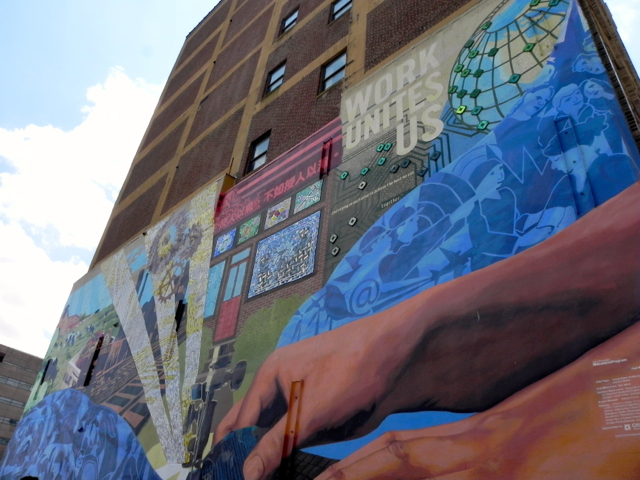 A robust series of mural walking tours tells the complex stories of the paintings. 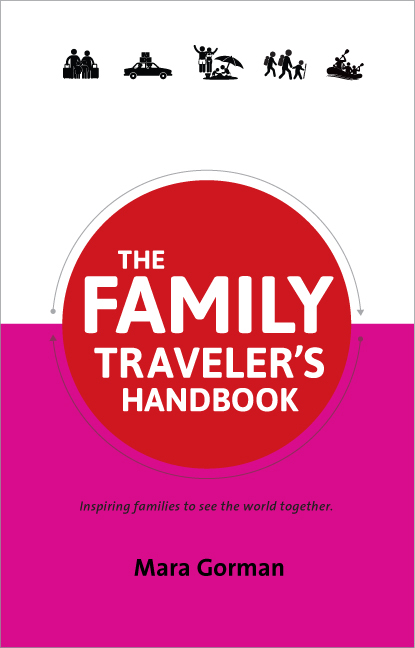 Knowledgeable guides lead the tours. They explain physical and artistic context, discuss the materials used to create the murals, and share stories about the artists. All of the murals are intended to tell a story, many of them offering direct visual links to the neighborhoods they decorate. 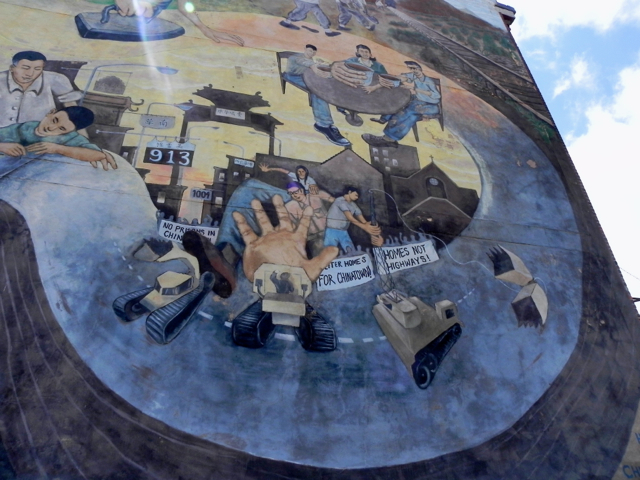 Perspective is everything here, and many of the murals try to break the fourth wall, inviting the viewer to participate. 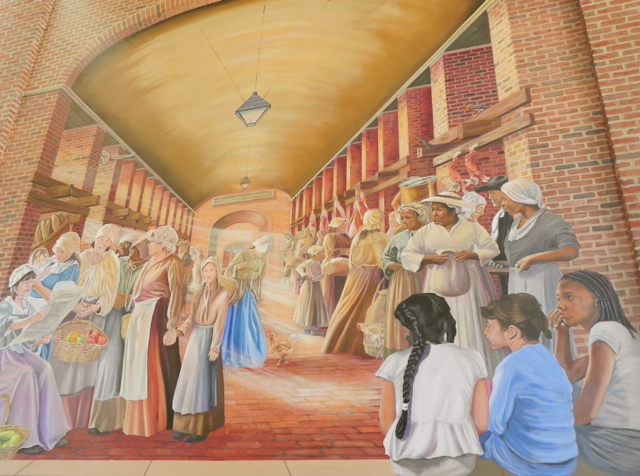 On a crystalline May morning the MuralArts tour I had been given a complimentary ticket to join first walked to the Independence Visitor Center where as one might expect, the murals concern themselves with a history that no living person can directly remember. But rather than tell the story of the American Revolution through portraits of famous men, the paintings here instead offer different points of view. The first is full of women and girls listening to the Declaration of Independence being read in an eighteenth-century marketplace. Can you tell who knows that these famous words don’t apply to them? The reality of course is that the words apply to no one in the picture, as women were not included in any ideas of equality at that time. We are invited to understand this as perhaps the three contemporary girls in the front do and to appreciate how things have changed. 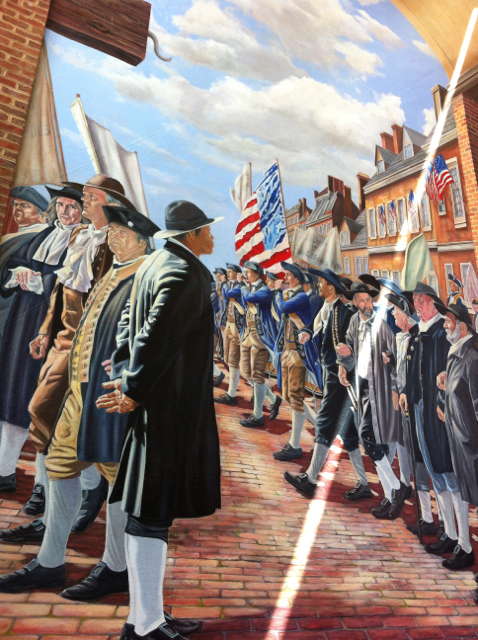 In another mural, we watch along with the Reverend Richard Allen as a triumphant parade of men celebrates the start of the Constitutional Convention in 1787. Although he was an important preacher and the founder of the first independent black denomination in the United States, he was not invited to participate in this early show of patriotism. 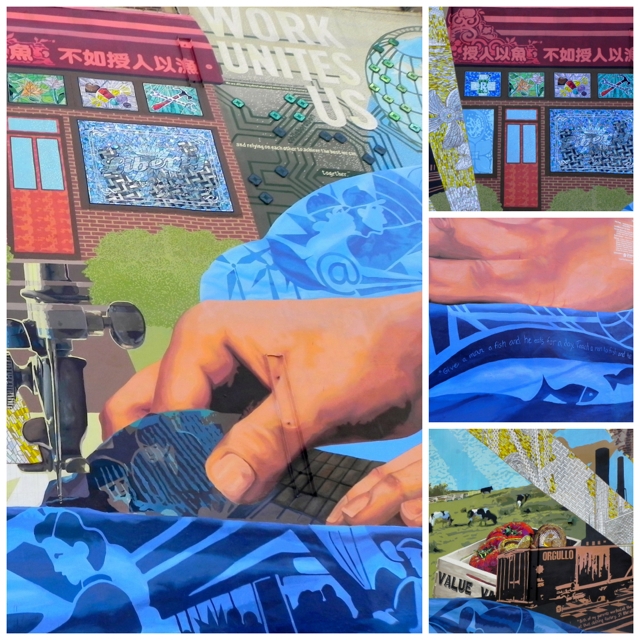 Our next stop was a few blocks north and west where a brilliant painting covering an entire wall tells the story of work in Philadelphia, centering on the garment industry but sharing four types of economy – agricultural, industrial, merchant, and knowledge-based. The third largest Chinatown on the East Coast has been fighting for its existence almost since it was founded in the late nineteenth century. This fight came to a head in 1969 with the creation of the Chinatown Development Corporation, which among other things stopped the construction of a baseball stadium in its center. 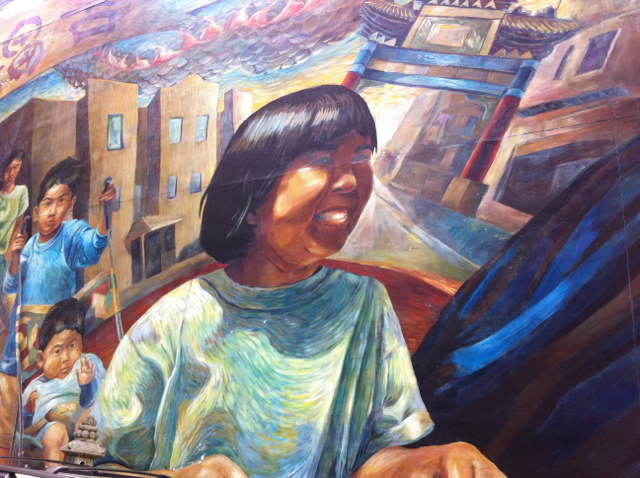 This struggle is depicted in a mural that celebrated the 125th anniversary of Chinatown in 1995. It is dominated by a large figure wringing out a cloth, an homage to the laundries that once dominated the area. 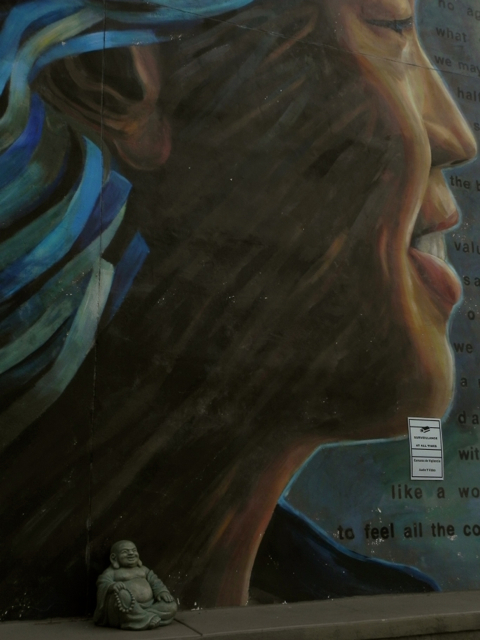 The mural was placed near where the Vine Street Expressway crosses the neighborhood, a violation that was not successfully fought. Up the street, another, brighter mural called Gateway to Chinatown, Colors of Light bears the smiling face of children and a flowing dragon, whose head extends above the top of the building, a practice no longer permitted in the city. A bit of visual irony was the fact that a row of hearses was parked in front of the painting. Not all of the murals are literal. In How to Turn Anything Into Something Else children worked with an artists’ collective to create a fantasy landscape full of mystical change. A boat becomes a whale, ghosts float underneath a tree, a windmill rides on a camel’s back. A series of smaller paintings by local mural artists Joseph and Gabriele Tiberino adorn the walls of the Municipal Services Building nearby. Here we see many of Philadelphia’s neighborhoods, citizens, and influences – famous and lesser known. Our tour ended in a place I never would have expected to find a gorgeous mural – the subterranean walls of Centre Square by City Hall. Situated below the famous Claes Oldenburg sculpture, it is rightly named Under the Clothespin and is made from more than 10,000 pieces of glass. This cheerful illuminated Philadelphia cityscape is the perfect punctuation to a tour that shows such an unexpected and rich story of the city. 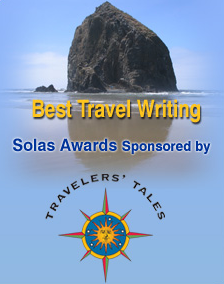 Have you checked out Friday Postcards from Walking On Travels? This week she’s got mouthwatering pictures from the Ballard Farmers Market. 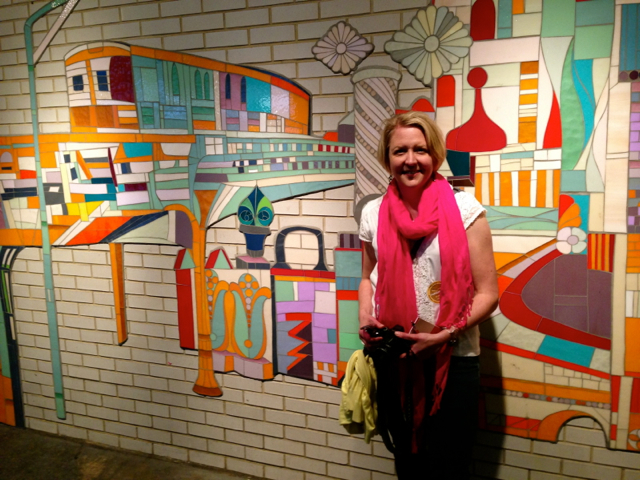 Many thanks to the MuralArts program for giving me a walking tour ticket. You can always count on me to share when I’ve gotten something for free and to share my honest opinions. I went on the Mural Mile North Walking Tour, which is offered on Saturday mornings from April to November; the Mural Mile South Tour is offered on Sundays. Tours start at the Gallery Mall at the corner of North Ninth and Market Streets. The tours are limited in size; buy your tickets online in advance to make sure you get a spot. We didn’t actually cover that much territory on foot, but at around two hours, the mural walking tour might try the patience of young children (I’m not sure my own kids would have stayed focused the entire time). 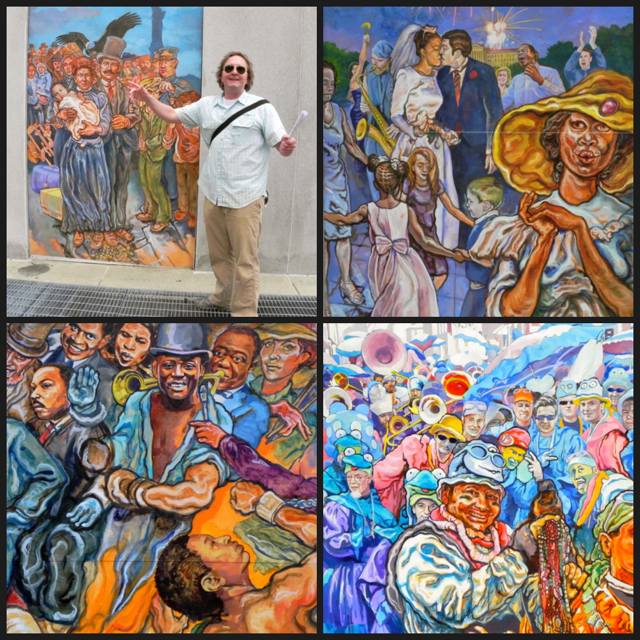 Happily, the MuralArts program also has an app for your phone or tablet that you can use to explore individual murals. It has a map function, so you can look up murals that are nearby. 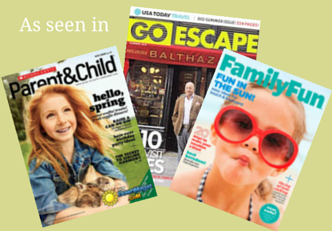 Since the walking tours take place in the Center City area, it’s easy enough to break off part of the way through if your child gets wiggly – you’ll be close to restaurants, parks, and the historic attractions in Independence National Historical Park. If you want to see murals in some of the city’s outlying neighborhoods or just want to avoid walking you might try a Trolley Tour. 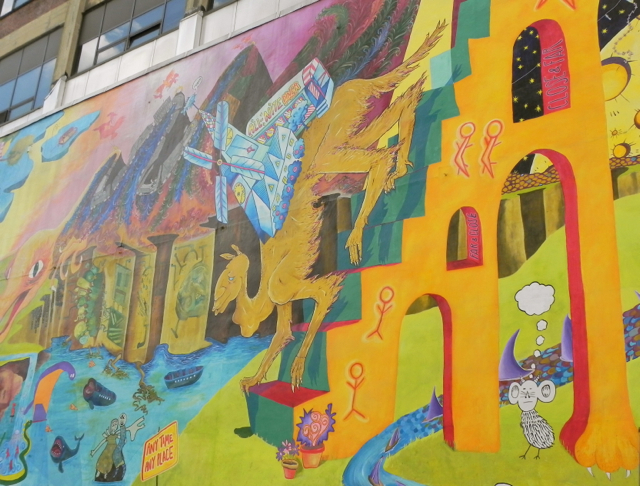 Want to take a tour of the murals online, maybe choosing some of your favorites before you visit the city? Check out the online Featured Murals collection. Great piece, with just one modification (as one of a number of mural guides in Phila) – you note that “Tours start at the Gallery Mall at the corner of North and Market Streets” and, assuming that is still the case, they would start at the corner of “North NINTH and Market Streets”. Thank you Josh! Excellent point. You have some stunning photos here. I really enjoyed looking at them.